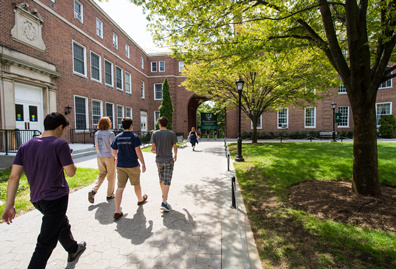 This program is a seamless path for Manhattan College undergraduate childhood education majors to obtain their master's degrees in five years. Childhood/Special Education (Grades 1-6) - B.S./M.S. Ed. Elementary school is a critical time to instill a love of learning and foster positive social experiences. Great teachers ignite an interest in children of all abilities and prepare them for academic success and a lifetime of learning. The five-year B.S./M.S.Ed in childhood /students with disabilities is a seamless degree program designed to prepare students for teaching certification. Students take graduate courses during their senior year and complete the on-site practicum and internship during their fifth year. 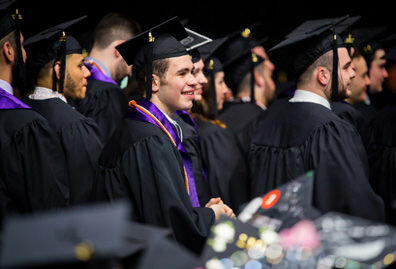 Graduates of our program are recommended for New York State certification, and are equipped to teach all subjects in general elementary classrooms as well as in special education or inclusive classrooms. The best way to learn is by doing. As a student in the B.S./M.S.Ed. childhood/students with disabilities program, you will gain classroom experience as soon as your first year at Manhattan. Field experiences are designed to help you develop as a teacher and put your skills to the test in the real world. It begins with classroom observations during second semester of your freshman year, and culminates with student teaching in their fourth year and an internship in their fifth. You will be placed in one of our many local partner schools in the Bronx and Westchester. Located in the neighborhood of Riverdale, our campus is in the Bronx, a New York City borough whose public school system serves nearly 45,000 students. As an undergraduate in the B.S./M.S. program, you will complete a minimum of 40 full days of on-site experience in grades 1-3 and 4-6 with students. In your fifth year, you will complete an internship of a minimum of 40 full days in a special education or inclusive setting in some of the most socially and economically diverse school districts in the nation. Council for Exceptional Children - join a group of students and professionals to promote understanding and acceptance of exceptional individuals. Best Buddies - join a nonprofit organization dedicated to enhancing the lives of the mentally retarded by providing opportunities for socialization. Kappa Delta Pi – become an invited member of the international honor society for education and participate in outreach projects locally and internationally in locations such as Namibia, Italy, Turkey, Israel and Palestine. The Center for Optimal College Readiness (COCR) - work with kids, teachers and counselors, while collaborating with a team and making a difference in the local community. 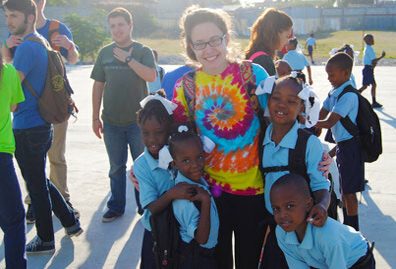 Lasallian Outreach Volunteer Experience (L.O.V.E) trips - volunteer to work with disabled, orphaned children in Jamaica or at a summer camp for children with kidney diseases in Texas. Saturday Program of Recreation and Teaching (SPORT) Program – volunteer in a recreation program for local individuals with disabilities. The Manhattan College Games – participate in an annual day of non-competitive sports and physical activities for persons with special needs. 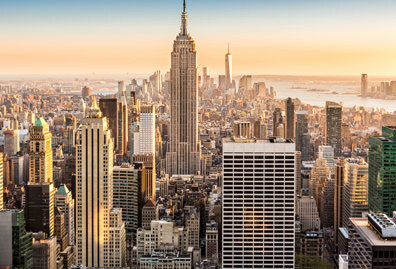 “A lot of things led me to choose Manhattan, the first and foremost being its 5-Year B.S./M.S. Ed - Childhood/Special Education program. "There are not many schools that allow you to complete your master’s in five years, and even fewer that allow you to choose these concentrations on this particular time schedule. Knowing I wouldn’t have to apply to a separate graduate school, and I could do so this quickly, were great incentives for coming here. I also loved Manhattan’s location – a subway ride away from anywhere in New York City, but also close enough to my hometown in Westchester County, where I could go home if I needed to. 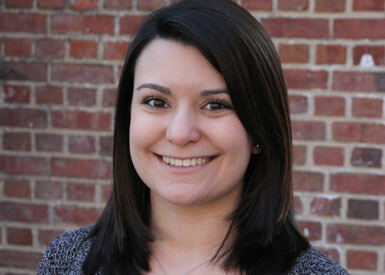 "As a prospective student, paying tuition was a big worry for me. But Manhattan really worked with me – they offered me a scholarship for my grades and suggested I apply for the TEACH Grant, a federal program that offers assistance to students striving to become teachers in high-need subject areas. All of these things contributed to making my commitment to Manhattan possible. "Deciding on an academic concentration was tough, too. I really liked math in high school but I wasn’t sure what to do because I was nervous about the intense courses. But the professors really work with you, especially Dr. Rizopoulos. She is always looking for the best for her students and she convinced me to go after what I really enjoyed. She helped me see it would all be worth it in the end. "I’m a member of Manhattan’s chapter of Kappa Delta Pi, the education honor society. Throughout the year, we host events that bring students to campus. Safe Halloween, for example, invites local kids to trick-or-treat in the Quadrangle, which was really exciting and adorable to see. I am also vice president for the local chapter of the Council for Exceptional Children, a national organization that advocates for children with exceptionalities. As a member, I bring students with disabilities to campus, or visit them at their school. This has truly prepared me for my special education degree. "Last summer, I attended a Lasallian Outreach Volunteer Experience (L.O.V.E) to Camp Reynal in Texas for kids with kidney disease, which was an amazing experience. I was able to see how strong children are, and really appreciate everything I have." "As an education student, I’m constantly doing fieldwork. Last semester I student taught in first and fifth grade, which was my favorite part of being at school. Between working with my cooperating teachers, getting to know more than sixty unique children, and planning and leading lessons, as well as managing classroom behavior, I feel I truly made the most of the student teaching experience. Once you complete the five-year dual childhood/students with disabilities grades 1-6 program and pass the New York State Teacher Certification Exams, you will be recommended for New York State certification to teach general education grades 1-6 as well as students with disabilities grades 1-6. Careers of interest for childhood/special education students include the following. See each link for more details about job outlook and salaries. I'm currently a fourth grade special education teacher at PS 294, and prior to that, taught students with severe and multiple disabilities at the John A. Coleman School, which is located within a residential pediatric center for children with chronic medical conditions. My experience at Manhattan College prepared me through real life experience, specialized instruction, and continuous support from each and every one of my professors. 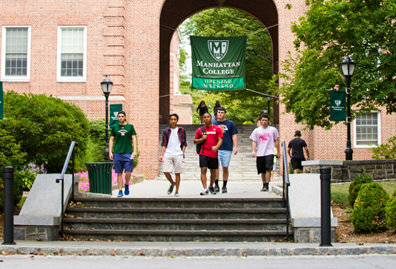 I continue to remain connected to the Manhattan College, as it continues to be my home away from home. Adolescent/Students with Disabilities (Grades 7-12) - B.S./M.S.